Everyone you know that owns a smartphone probably owns one that runs Android or iOS. There may be a few rebels with Windows Phone — or a few has-beens with BlackBerrys — but the chances aren’t very high. To stand out in the mobile world today, you’re going to have to consider something else. Ubuntu Mobile wants to be one of them. 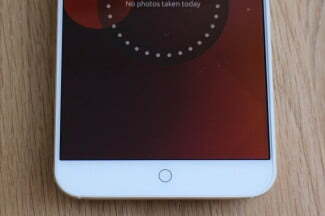 Like the relationship between Windows Phone and Windows on the desktop, Ubuntu Mobile is Canonical’s mobile edition of its operating system, and a step towards the company’s goal of providing a single OS that works on every type of device. It has been around for a while, but the OS is finally being sold on a phone worthy of closer examination. 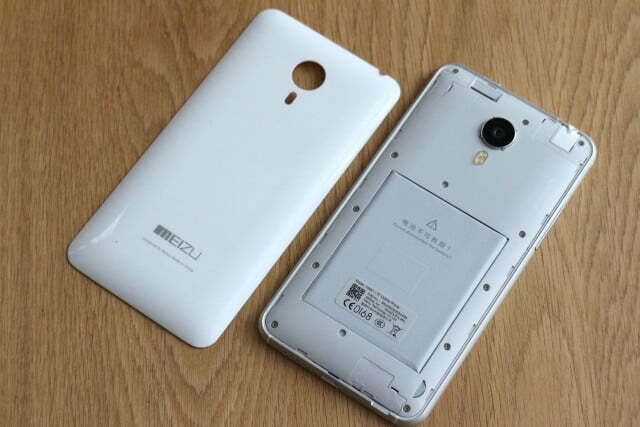 The device is the Meizu MX4, which until now was better known (in China, at least) for running Android. 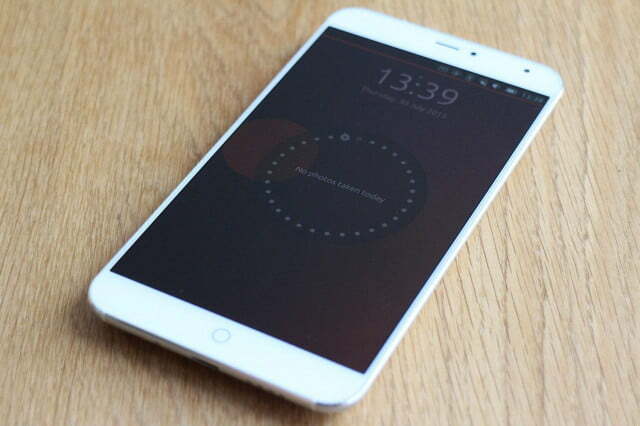 So Ubuntu Mobile now comes installed on a well-made, sleek smartphone with high-end specs. That means we should take notice … so the question is, what’s Ubuntu Mobile like to live with each day? And would you want to? Here’s what may come as a surprise — Ubuntu Mobile is different, yet familiar enough that you won’t feel lost, confused, or overwhelmed. It’ll take a day’s solid use to feel at home, and there’s enough depth that you’ll still find new aspects to tinker with after a week. This isn’t like a skin over the top of Android — which only feels different on the surface — it’s a completely new way of working on your phone. Gestures are the key to navigation. A swipe from the left shows a quick access menu where you’ll find the gallery, camera, phone, and messaging shortcuts. Swipe from the right and you get a tabbed-style view of all running apps. Swipe from the top and bottom of the screen and there’s a notification/settings pane and app management screen respectively. 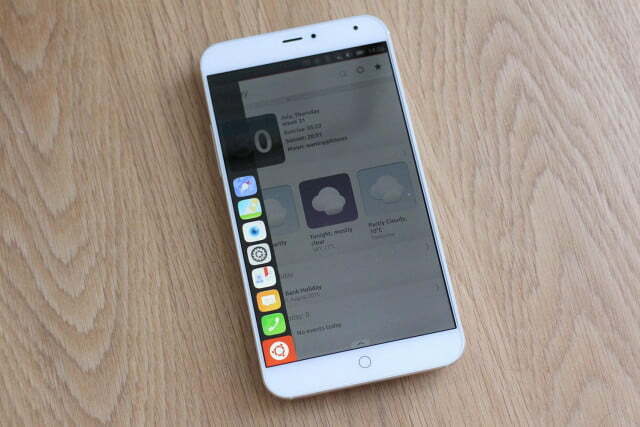 At the core of Ubuntu Mobile are Scopes, which are like multiple home screens focused on a single task or theme. The Daily Scope shows messages, calls, calendar entries, the weather, and more. The NearBy Scope shows localized search results, a Photos Scope collates images on your device, plus pics from Facebook and Instagram, and there’s a Videos and MusicScope too. 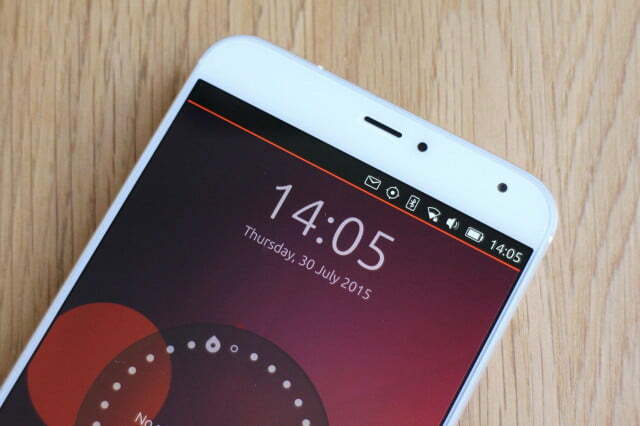 What’s Ubuntu Mobile like to live with each day, and would you want to? Designed to speed the process of finding relevant information, often used apps, and content, Scopes work well. You have to stop thinking about opening an app each time you want something — the Scopes bring that previously app-based data and information to the forefront. It takes some getting used to, but the NearBy Scope is particularly handy, due to pulling in data from Yelp and other local apps. It speeds things along, and removes the wait time for opening an app. Outside of the Scopes and the gesture control system, using Ubuntu Mobile was similar to Android, with a key difference — it’s fun. Whether it’s more enjoyable to use because it’s new remains to be seen, but for the first few weeks, I didn’t tire of picking it up and sliding through the Scopes. However, it’s not utopia, particularly if you’re already a long-time smartphone owner, and have an allegiance to certain apps. There’s an Ubuntu app store, but if Whatsapp, Hangouts, WeChat, or almost any other messaging app is essential in your mobile life, you’re out of luck. Like Windows Phone, you’ll have to find a way to live without them by using alternatives. For example, if you’re a Google Maps fan, you’ll have to get used to Here Maps. The lack of commonly used apps is the biggest hurdle Ubuntu faces in its quest for new users. Other positives? It’s damn fast to start up, and Scopes can be personalized by signing into relevant accounts. Other negatives? These sign-ins don’t always work (I couldn’t get it to recognize my Instagram or RunKeeper account), and there’s no wearable support. This is Ubuntu Mobile in a nutshell — fun, but frustrating. 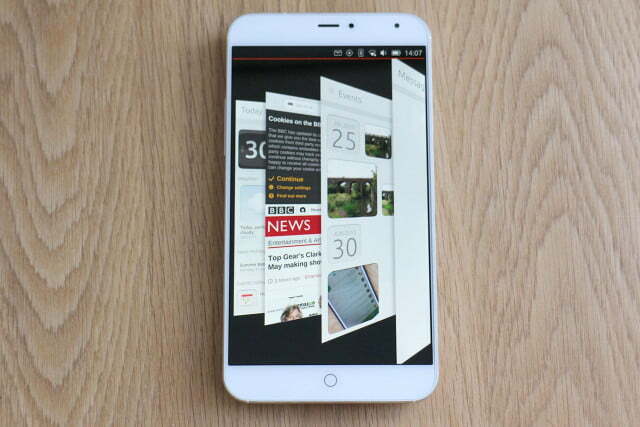 Say you decide to take the plunge, and make Ubuntu Mobile your mobile OS of choice. 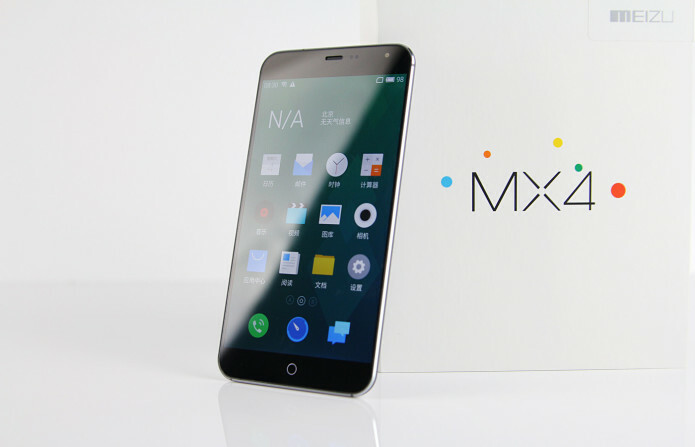 How about the Meizu MX4 phone itself? It’s a beauty. The chassis is made from aluminum, and the rear panel plastic, but with a very classy sheen to it. The screen is just over 5.3 inches, and it has very thin bezels — and seeing how the phone is from September of last year, this was way before thin bezels were considered the bee’s knees of fashion, too. 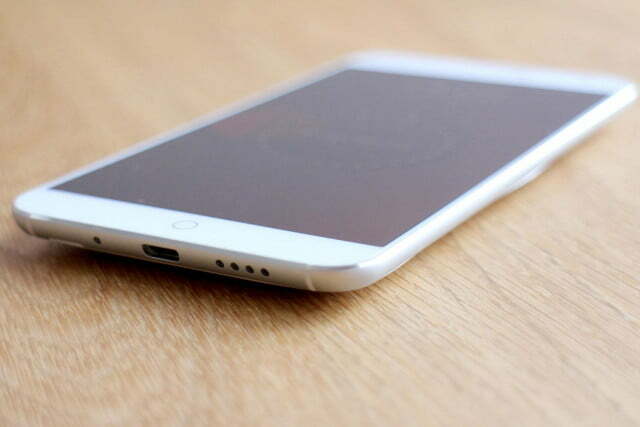 Yes, it does look like an iPhone from the front, but that’s hardly a terrible thing. It’s a completely new way of working on your phone. 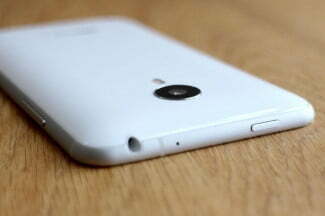 The plastic rear panel unclips, but only to let you put the SIM card inside. 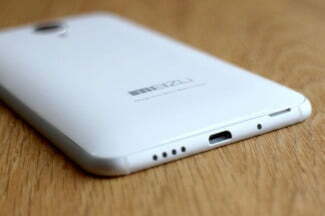 There’s no MicroSD card slot, and the battery is non-replaceable. Despite being a healthy 3,100mAh capacity, it’s not very long-lasting, and even in regular usage it’ll struggle to last the day. Show it a hard time and it’ll definitely run out of steam before the day is over. This could be down to software optimization, rather than the hardware itself, and updates have steadily improved the battery in the past few weeks. It’s still not good though. Returning to the hardware, the Meizu MX4 weighs only 147 grams and is curved like an iPhone 3G, making it very comfortable to hold. 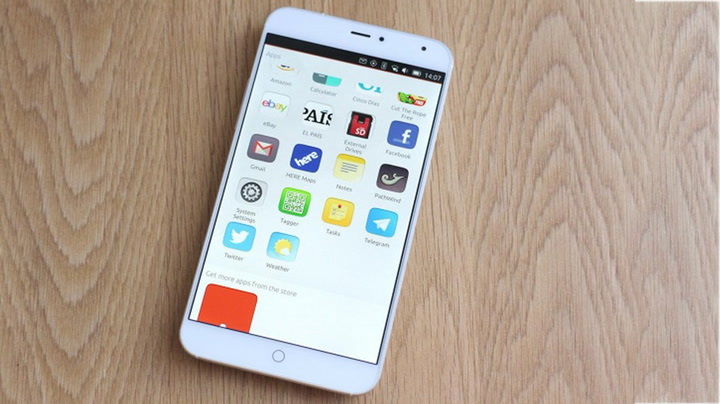 A MediaTek octa-core processor with 2GB of RAM provides the power, and despite apparently being modified by Meizu, it appears to function much like other examples. That chip and the PowerVR G6200 GPU handle basic gamingwithout a problem but can get a little stuttery if you try to do things too quickly. That includes swiping through the Scopes. 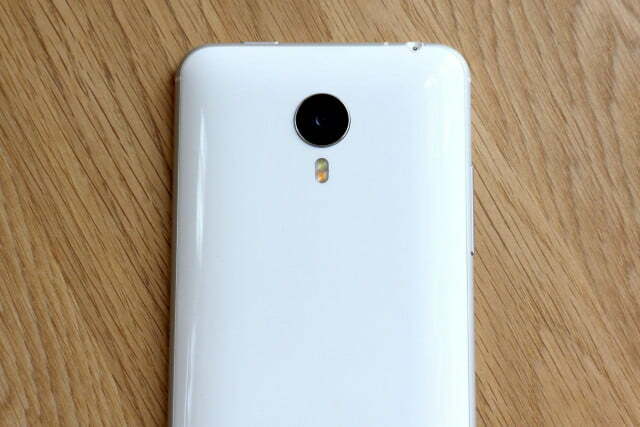 Meizu made the wise decision to fit Sony’s 20.7-megapixel, 5-element lens on the MX4, and it snaps excellent images. The screen on the device is also well-equipped for showing them off, with surprisingly warm and bright color reproduction and high levels of contrast. The camera app isn’t very fancy. It has an HDR and a panorama mode, but that’s about it. The only post-photo editing tool is a crop feature, and annoyingly, there’s no quick access to the camera app from the lock screen. You can slide in the app shortcuts, but still need to enter your PIN code. The shutter speed isn’t super fast either, but provided you leave HDR mode on, the camera will take fantastic pictures. It’s one of those cameras that gets better the more you use it, because you begin to recognize its strengths and shoot accordingly. The camera is one of the most important aspects of a modern smartphone, and having one you actually want to use is a considerable benefit. 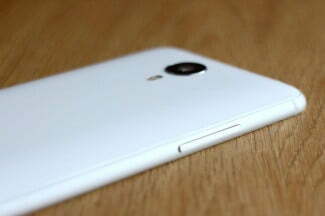 The MX4 didn’t disappoint, despite the less than perfect user experience. However, if you’re already plugged into the Ubuntu ecosystem, or a jaded smartphone owner looking for something new — someone who understands the drawbacks — then the MX4 comes highly recommended. It’s a truly high-end piece of hardware, which helps no end in making the transition over to something new less painful. It’s not a phone for everyone, then. It’s reasonably priced though, at 300 euros, or about $330, which is $100 less than the MX4 running Android. 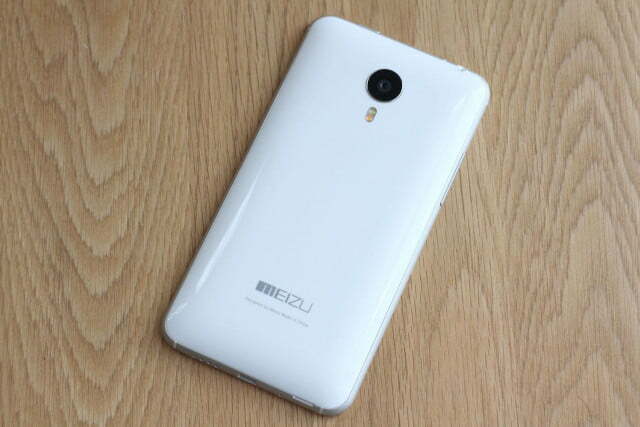 Meizu will only ship to Europe, however, so you’ll have to find an alternative method if you want one in the U.S. If you’re considering owning an Ubuntu Mobile smartphone, chances are you know the pitfalls, and are willing to accept the quirks. If that’s you, then the MX4 is only the device to choose.